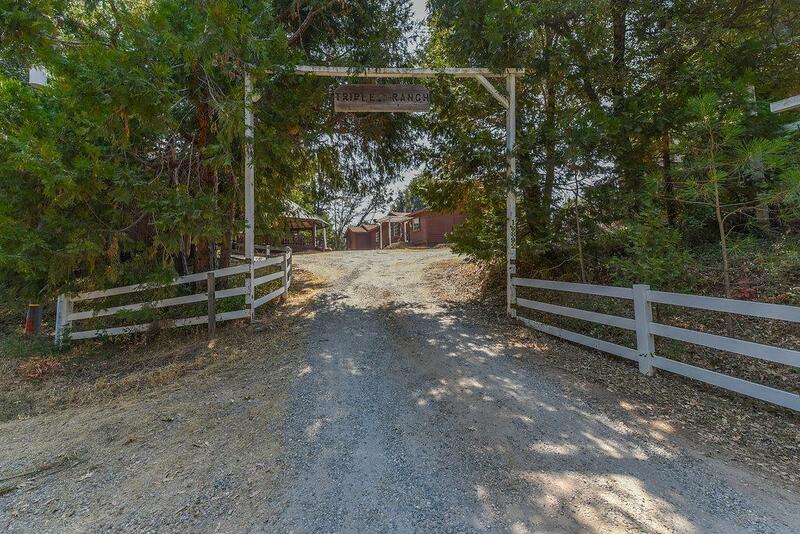 Beautiful horse property on 11+ac.Home has 3BD/2BA, 1790 sq.ft. Stunning rock fireplace in living/dining room. Kitchen has tile counter tops w/island, stainless steel.Detached garage, guest house, Storage barn, and Large barn with 5 stalls and room for 5 more stalls.Fenced pasture area with round pin. Large gazebo, BBQ area for entertaining.